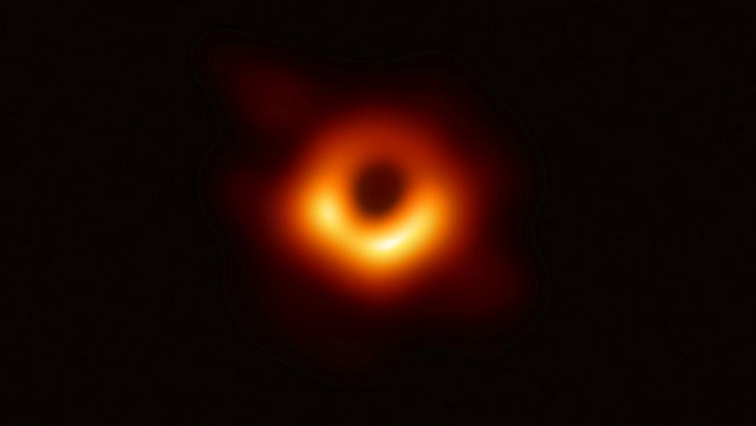 'Seeing the unseeable': Scientists reveal first photo of black hole - SABC News - Breaking news, special reports, world, business, sport coverage of all South African current events. Africa's news leader. Using a global network of telescopes to see “the unseeable,” an international scientific team on Wednesday announced a milestone in astrophysics; the first-ever photo of a black hole in an achievement that validated a pillar of science put forward by Albert Einstein more than a century ago. The photo of the black hole at the centre of Messier 87, or M87, a massive galaxy in the relatively nearby Virgo galaxy cluster, shows a glowing ring of red, yellow and white surrounding a dark centre. The research was conducted by the Event Horizon Telescope (EHT) project, an international collaboration begun in 2012 to try to directly observe the immediate environment of a black hole using a global network of Earth-based telescopes. A black hole’s event horizon is the point of no return beyond which anything; stars, planets, gas, dust and all forms of electromagnetic radiation, gets swallowed into oblivion. A light year is the distance light travels in a year, 9.5 trillion km. This black hole is an almost-unimaginable 6.5 billion times the mass of the Sun. “This is a huge day in astrophysics,” said US National Science Foundation Director France CÃ³rdova. “We’re seeing the unseeable.” “It did bring tears to my eyes,” CÃ³rdova added. The fact that black holes do not allow light to escape makes viewing them difficult. The scientists look for a ring of light, hot disrupted matter and radiation circling at tremendous speed at the edge of the event horizon, around a region of darkness representing the actual black hole. This is known as the black hole’s shadow or silhouette. The scientists said Einstein’s theory predicted the shape of the shadow would be almost a perfect circle, as it turned out to be. Astrophysicist Dimitrios Psaltis of the University of Arizona, the EHT project scientist, said, “The size and shape of the shadow matches the precise predictions of Einstein’s general theory of relativity, increasing our confidence in this century-old theory. The project’s researchers obtained the first data in April 2017 using radio telescopes in the US states of Arizona and Hawaii as well as in Mexico, Chile, Spain and Antarctica. Since then, telescopes in France and Greenland have been added to the global network. The global network has essentially created a planet-sized observational dish. The project also targeted another black hole; Sagittarius A* is situated at the centre of our own Milky Way galaxy, but did not announce any pictures of that one, though scientists expressed optimism about getting such an image. Sagittarius A*possesses 4 million times the mass of our sun and is located 26 000 light-years from Earth. This entry was posted on 10 Apr 2019,08:34PM at 8:34 PM and is filed under mobile-leadstory, Sci-tech, Homepage Featured Story Slider. You can follow any responses to this entry through the RSS 2.0 feed. Both comments and pings are currently closed.